Over the past month, I’ve begun to obsess on whether Lucy might be considered a genetically modified organism. GMO’s are illegal in Mendocino County. We could be breaking the law by harboring her. People here take this GMO stuff very seriously. I once saw a man outside Safeway dressed as a tree with vegetables hanging from his limbs and a sign across his trunk that declared GMO’s ARE BAD. In order to avoid confrontation with people dressed as vegetable trees, Lucy would have to be disguised as an old Finnish woman on our daily walks. I’ve always believed the care of dogs was fairly basic: feed, bathe, brush, exercise, and take to obedience classes so you can earn a certificate to legitimately boss them around. Will the results of Lucy’s DNA test cause me to rethink this routine? She might prove to be such a sensitive combination of breeds that we’ll have to learn how to punish—I mean “correct”—her without screaming when she chews the ends off and rips the stuffing out of sofa pillows. 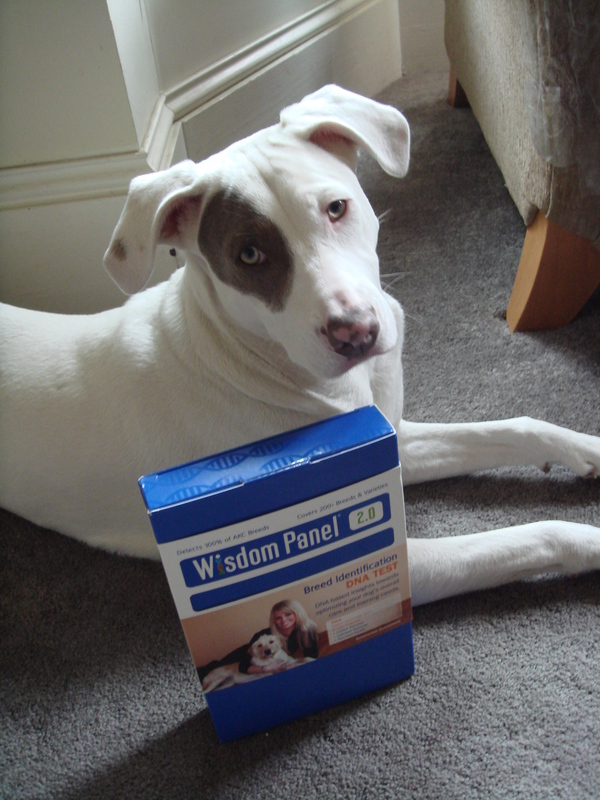 The Wisdom Panel 2.0 also claims that it “covers 200+ breeds and varieties.” What if it turns out that Lucy is a genetically modified combination of all 200 of them? Will she get a prize? Like a million dollars? I made an appointment with our vet. 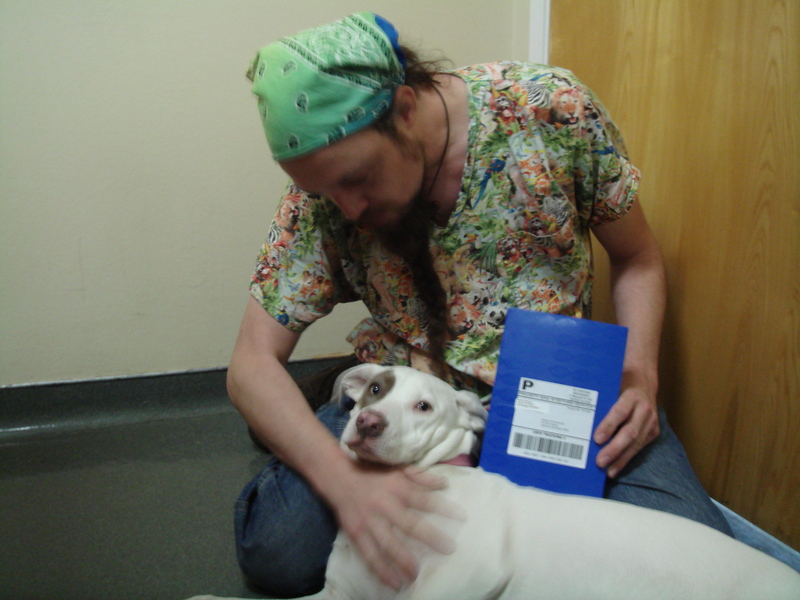 Lucy let Phil, the Zen-like vet assistant, swab the inside of her cheek without incident. He helped repackage the swabs and I dropped them in the mail. Three weeks later, we got the results. Lucy appears to be a conglomeration of Australian Shepard, Miniature Poodle, Cairn Terrier, Wirehaired Pointing Griffon and Labrador Retriever. 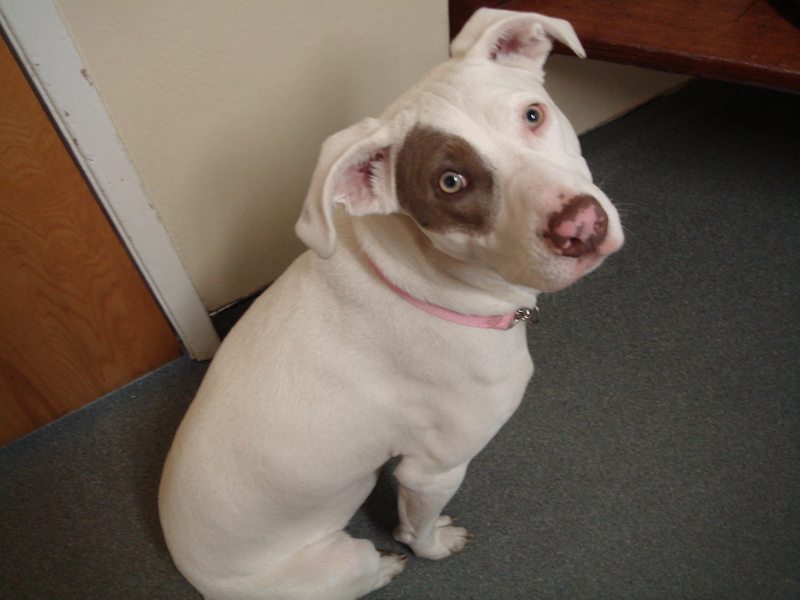 Oh, and a thing called a Catahoula Leopard Dog. And what the hell is a Catahoula Leopard Dog? Not only does Lucy look like a Catahoula Leopard Dog, she shares many of the same characteristics: oddly piercing “glass eyes” in vivid shades of light blue or goldish-brown, a fierce independence that sometimes borders on being standoffish, bouts of stubbornness, and domineering of other pets. Fun Facts: In 1979, the Catahoula Leopard Dog became the official state dog of Louisiana; hence, its name was changed to Louisiana Catahoula Leopard Dog. Louisiana Governor Earl K. Long (1895-1960)—an eccentric politician whose wife had him removed from office and placed in a mental institution until his legal advisor sprang him and put him back in office—was partial to the Catahoula breed and collected them. Long’s devotion to the breed is memorialized in an annual competition known as Uncle Earl’s Hog Dog Trials. These trials are held during the third week of March (dang, we just missed them!) 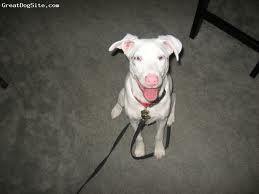 in Winnfield, Louisiana and involve boars, Catahoula Leopard Dogs and another exotic breed called the Blackmouth Cur. This event regularly draws a crowd of 5,000 with people traveling from Canada, England and across the United States. Now that I’m aware of Lucy’s heritage, I’m obligated to train her for next year’s Hog Dog Trials. I’ll need a boar. Please let me know if you have one I can borrow. In the meantime, I can substitute our cat Little Mister. I’ve learned that GMOs are considered to be any organism with DNA that has been modified by human intervention. Given the number of dog breeds found in Lucy, her DNA was modified by generations of human non-intervention. She’s relieved to no longer pretend to be an old Finnish woman. 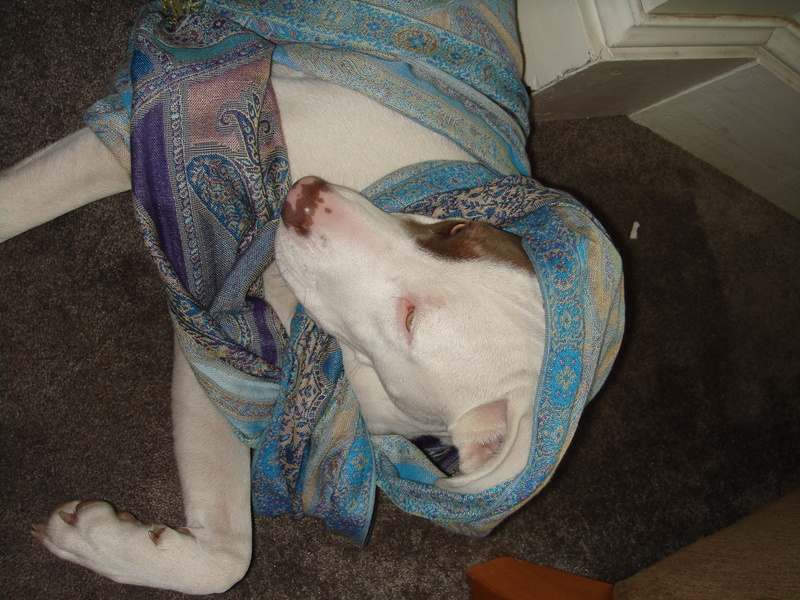 This entry was posted in Dog Breeds, Humor, Mendocino County, Small Town and tagged Blackmouth Cur, DNA testing, Earl K. Long, GMO's, Louisiana, Louisiana Catahoula Leopard Dog, Poodle, Uncle Earl’s Hog Dog Trials, Winnfield, Wisdom Panel 2.0 by Kate. Bookmark the permalink. That is so COOL to find out here DNA! She is beautiful and a keeper for sure:) Happy Weekend! I am disappoint…no Pitbull. Lucy may be related to royality if you dig far enough. However too much info is not desireable either. She is a special animal and adorable at the same time. A boar?! This is fabulous! Wild boar are rampant in CA and very destructive to the environment. Load Lucy up and head over to Upper Lake. Just before you get there, you’ll see a sign advertising boar hunts. Of course, “hunt” means you-know-what that she can’t do at the Hog Dog Trials without suffering disqualification, but hey, just getting her scent-trained is a start. I think she’s on the brink of becoming an aid to mankind and all that we survey. Too much? Lucy is destined to save the world. It’s the power of the pink collar! FOFL- Kate, this was a fabulous piece! You are soooo clever! A southern belle! We should have known what with the drawl in speech and the impeccable manners!